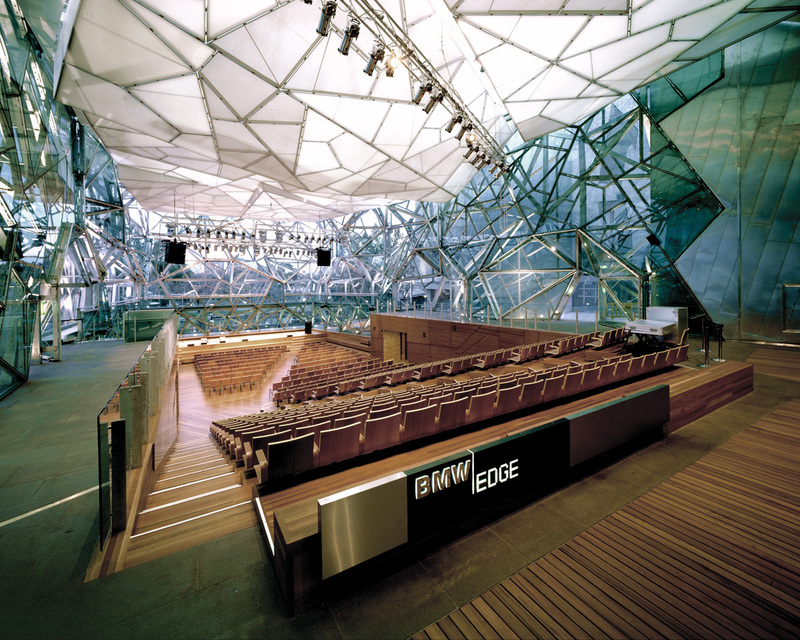 Located in the South Atrium of Federation Square, the amphitheater creates a public theatre for spontaneous daily events, casual performances and ticketed performances during festivals. 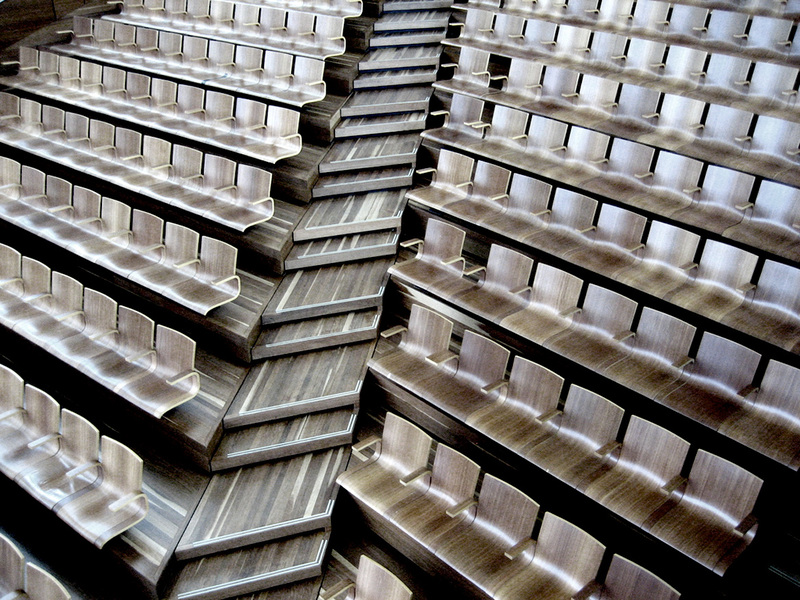 The design was acoustically tuned to provide a space suitable for small to medium sized music and theatre ensembles. 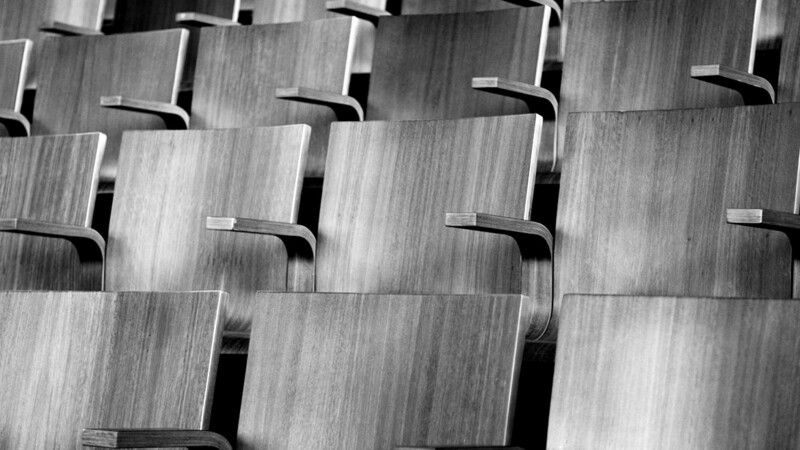 The seats, like the interior, are made from reclaimed iron bark timber, a typically Australian material. The project was completed at Lab Architecture Studio.